This is the second article in what will be a four-part series on the current state of 3D printing compared to how things were three years ago when I wrote my first series on 3D printing. Of course, this is Linux Journal, so the focus will be on Linux and open-source-specific aspects in 3D printing. I won't dwell much on proprietary products. In my last article, I gave a general overview on the state of 3D printing; in this one, I focus on the hardware side. If you were to compare 3D printers three years ago to today, probably the first thing you would notice is just how polished and consumer-focused the overall look of the machines are now. 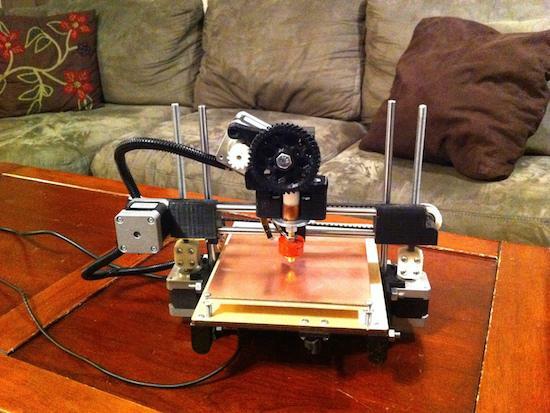 Three years ago, most printers were based off the RepRap line of 3D printers. They had a hobbyist look, with 3D-printed gears and other parts combined with nuts and bolts you could get from the hardware store. Those printers that didn't consist of a series of threaded and smooth rods for their structure were made from laser-cut wood. The focus was much more on community and sharing designs freely to improve the quality of the printers as rapidly as possibly while still using parts easily purchased from a hardware store or on-line. Many of the commercial 3D printer offerings at the time also were some form of a RepRap printer sold pre-assembled and calibrated with some refinements and improvements, plus support from the company if anything went wrong. Fast-forward to today, and the selection of 3D printers is widely different. As the focus has shifted from the hobbyist to the consumer, you see modern designs that hide away the electronics and wiring, forgo laser-cut wood for painted metal and acrylic cases, and look more like something you'd put on a desk in your office than a work bench in the garage. It reminds me a lot of the early attempts to polish the Linux desktop to appeal more to the end user, and both changes have received a similar backlash from the original community. 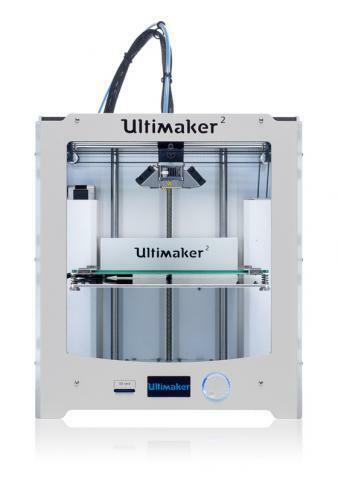 One of the best examples of the difference between old and new is a comparison between the original Ultimaker and the current Ultimaker 2. The original has the classic boxy laser-cut wood case, while the modern printer has a frosted acrylic case. So, what caused this shift in focus? A number of factors are involved, but I'd argue it was the success of the original Printrbot Kickstarter campaign, itself a RepRap design modified to be more affordable and aimed at schools and the end consumer, that attracted many entrepreneurs to say "I can do that" and start their own 3D printer companies. In a world of $2,000 Makerbots or $800 RepRap kits, a $500 3D printer grabbed the attention of a whole new group of users (including yours truly) who couldn't quite justify $800 for a kit that wasn't guaranteed to work after many hours of assembly. You can see the changes in the Printrbot line itself. The original printer was much like a RepRap with many 3D-printed parts and a wooden print bed with an optional heated bed. The immediate follow-up to that printer traded some of those parts for laser-cut wood to speed up manufacturing. 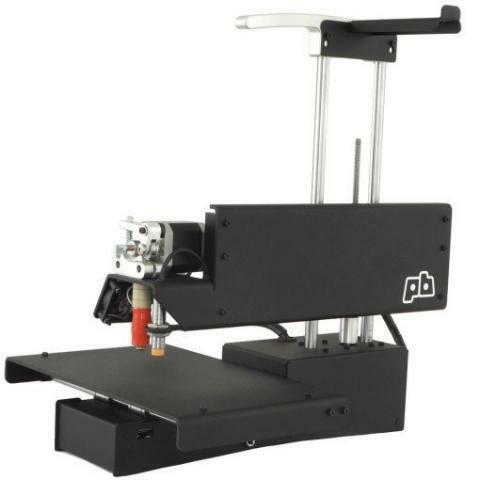 Compare that to the modern Printrbot line, which are all shipped assembled, all made with painted metal frames and machined metal print beds, and still are around the same price as the original assembled Printrbots. One unfortunate trend in modern 3D printers is the absence of open design files. Years ago, most of the major 3D printers fully shared all of the hardware design files; thus, if you were so inclined, you could build your very own 3D printer with your own self-sourced parts. Makerbot's announcement that it no longer would share the design files for its Replicator line created quite a bit of outrage in the community, but despite that, a number of other 3D printing companies followed suit. That said, there still are some notable 3D printing companies that continue the open-source ethos and share their design files, such as Ultimaker, Lulzbot and Printrbot, all offering their hardware design files either along with the introduction of a new product or within a few months. Extruder design is another area that has seen a lot of innovation during the past three years. The extruder is the part of the 3D printer that feeds plastic filament into a hot end where it is melted and printed out. Three years ago, many printers adopted some variation of the Wade's extruder design, which used a stepper motor connected to a small gear that powered a larger gear connected to a bolt with teeth that would grip onto the filament. The concept of multiple extruders on a single printer was still in the early prototype phase, and most extruders used 3mm filament. These days, just about every printer has its own custom extruder design and hot end. Many extruders have shifted to a direct drive system where the stepper motor has a gear directly attached to it that feeds filament into the hot end, and 1.75mm filament is starting to become the norm. 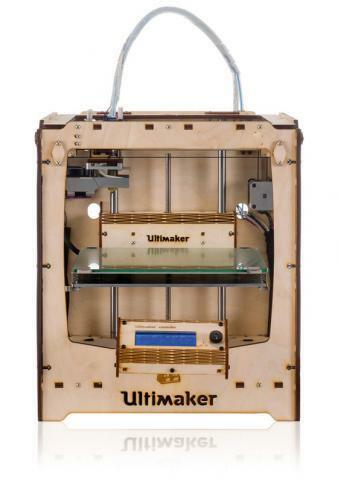 Many of the most popular printers now offer dual extruders as an upgrade option. With dual extruders, a printer can feed two different colors of filament or even two different filament types into the same print. This not only allows you to print multiple colors at the same time, but it also allows you to print support material out of a water-soluble filament instead of having to snap or cut it off of the print when it's finished. In the past, many hot ends were ceramic and used a teflon tube inside to feed the filament from the top of the hot end into the heated area before it was extruded. With the new interest in more exotic filaments, some of which require higher temperatures than PLA or ABS require, all-metal hot ends are starting to become popular as they can be heated past the limits imposed by a teflon tube. Since most 3D printers three years ago were geared toward hobbyists who likely built the printer as a kit, a large amount of calibration and tinkering were assumed to be part of the fun. Everything from calibrating potentiometers for your stepper motors to the levelness of your print bed to the height your Z axis above the print bed required a screwdriver, feeler gauges, calipers, locking bolts, and trial and error. Often moving the printer from one location to another would throw off your calibration, so you had to budget a whole new round of adjustments. With the focus shifting from hobbyists to consumers, a lot of attention has shifted to making calibration simpler. First, the majority of printers sold today are assembled and calibrated before they show up at your door. Second, some printer models, such as the Printrbot line, include a magnetic sensor that can sense when it is close to a metal print bed. This sensor then can be used with an automatic calibration routine to measure the distance from the print bed along three corners and then level the print bed in software. Instead of adjusting a screw above a Z-axis endstop to change the Z-axis height above the bed, the Printrbot line takes advantage of the metallic sensor to get close to the print bed and allows you to enter a number in the printer's settings to move the Z axis higher or lower by a fraction of a millimeter. Once this value is set, you no longer have to calibrate your Z axis unless you tinker with or remove the hot end. Although these days the stepper motor currents already were calibrated when the printer was being assembled, if you find you do need to adjust them, some printer boards even allow you to adjust that in software instead of with a screwdriver. One of the most exciting areas of innovation in 3D printing today is in the materials you can use. Three years ago, your material choices basically were limited to PLA and ABS plastic. Today, in addition to a much greater variety of colors for PLA and ABS (including glow-in-the-dark), there are a number of more exotic plastics, such as PVA (water-soluble), and a number of different nylon filaments that provide different strength and flexibility profiles. There also are new flexible filaments like Ninjaflex, Filaflex and Ninjaflex Semiflex that let you print with a material that acts much more like rubber than plastic and can be used for sandals, toy car tires or cell-phone cases. Most recently, a number of exotic PLA material blends have appeared where traditional PLA filament is blended with tiny fragments of other materials including wood, bamboo, carbon fiber, iron, copper, brass and bronze. Each of these materials more or less extrudes like PLA, but the finished product has properties of the blended material. For instance, wood and bamboo filaments look quite a bit like wood grain with each layer and can be stained with wood stains. The metallic filaments each can be polished and overall given post-processing treatments like metal, and they can be polished with steel wool or in a rock tumbler. For instance, the copperfill filament I have can be polished, and the finished product even smells like a penny. Iron filament even can react with magnets. Unfortunately, since PLA still is used to bind the metallic dust together, products made with these materials don't have the strength of the pure metal, so the applications are more appropriate for jewelry or busts and less for metal bars or gears. If you need strength, it's still better to look into one of the other plastics like ABS or Nylon. As you can see, 3D printing is a rapidly moving technology, and a lot has changed in the past three years. I know this article has veered a bit away from the traditional Linux-based content you normally see in this space, so next month, I'll make up for it with a look into the innovations in open-source 3D printing software that interfaces with this hardware.